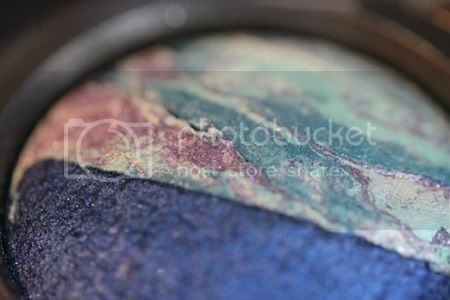 Make Up Novice: Mac Mineralize eyeshadow duos. Okay, so, my first real post. 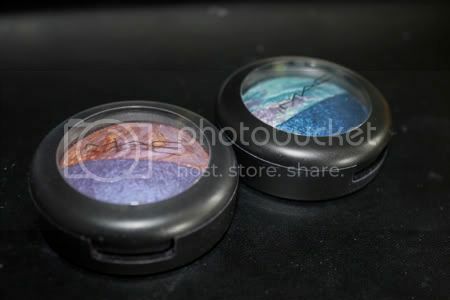 Today I'm going to talk a little about the Mac Mineralize eyeshadow duos, not the new trios that have just come out. These are the bad boys I'm talking about. My local Mac counter is right by the door of the Debenhams. It's lethal. I will sometimes walk the long way to TopShop just so I don't walk past and go in and spend money I don't have. So, I walked past, head held high, not intending to buy anything. But then I got sucked in and spotted these, not with the other eyeshadows, but with some foundations. They're so pretty! I couldn't resist. And I couldn't decide which colour I wanted, so I bought two. First up is 'Odd Couple'. 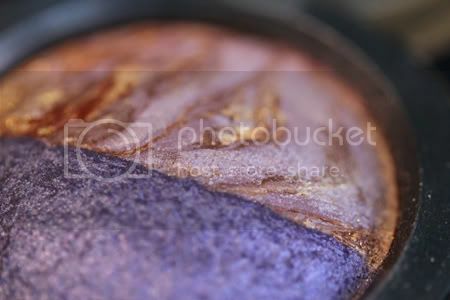 One side is a solid purple colour, and the other is a swirled mix of lilac, gold and bronze. It's quite sheer, but I like it like that. It can be quite subtle, but built up for a more dramatic effect. 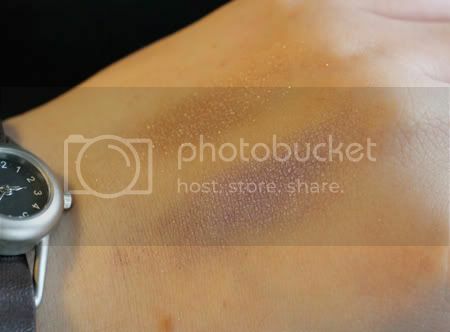 I like to use it with my Urban Decay deluxe shadows in 'Honey' and 'Underground'. The other one I bought is 'Sea and Sky'. This one is a dark navy blue, with the other side of lighter blues and purple. It goes really well with silver eyeliner, and my Urban Decay silver glitter liner. 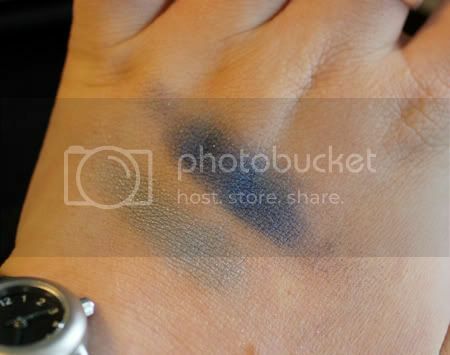 This one is more pigmented, but again it the colour builds up really well, especially over a primer. I really like these shadows, I wear them a lot, especially 'Sea and Sky'. Perhaps 'novice' is the wrong word.